SAZ City Life Hotel - ΖΑΡΙΦΟΠΟΥΛΟΣ Α.Ε. 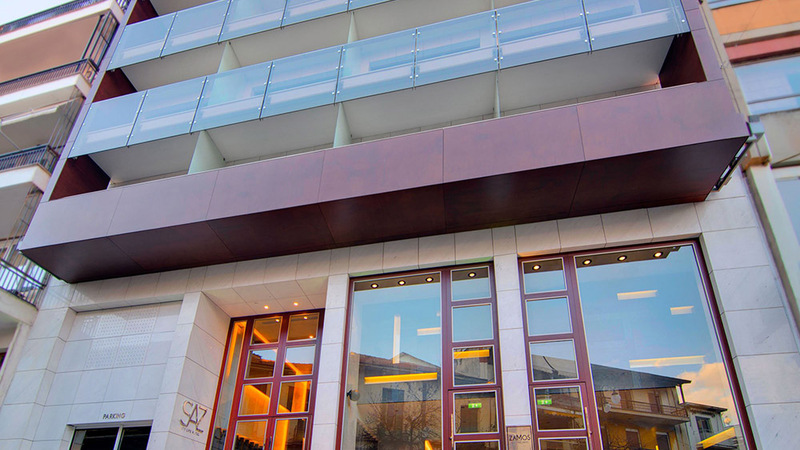 Installation of Security, Fire Safety, Fire Suppression and Gas Detection Systems, at SAZ City Life Hotel in Ioannina. Saz City Life Hotel is located in the centre of Ioannina. With views to the city of Ioannina, as well as to the beautiful Lake Pamvotis, it offers a new complete Hoteling experience. Its 23 spacious high quality rooms and suites are made of carefully selected materials combined with high aesthetics and elegance. In this new Hotel, our Company has installed an addressable fire detection system covering all areas and rooms of the hotel. It has also installed a CO detection system in the basement parking, CO2 suppression systems in the plantroom spaces and a Security system for the Management Offices of the Hotel. The fire detection system is of Italian brand Inim and consists of a 2 loop Panel, as well as a Repeater and approx. 160 peripheral devices (detectors, buttons, beacon sirens). Specific descriptions have been created for all points of the system. The CO detection system is of Italian brand Tecnocontrol and consists of a digital micro-processors panel with 8 detection branches and 6 analogue CO electrochemical-type sensors. The system transmits appropriate commands to the ventilation system of the building and is connected – via point surveillance units – to the central Fire Detection system. The CO2 fire suppression systems in the Mechanical & Electrical plantroom areas consist of 5 suppression boards of Italian manufacturer ABS. Each system is individually connected – via surveillance units – to the Central Fire Detection system. The design and construction of the pipework was undertaken by our Company, in line with European Standard ELOT EN 54. The Security system is of manufacturers Inim and Honeywell. Timetable: The project was completed in 12 months and delivered in 2016. 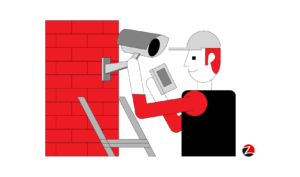 Unique Benefits: Guarantee of materials’ performance, simplified surveillance of all spaces protected by the systems. High potential of systems’ expansion, to suit building modifications and needs.